Nayef Alkhawaldeh is a professional developer from Jordan who has studied and worked in Jordan, Sweden and the United States. He recently completed a MA in International Development at Duke University (USA), where he studied “Development Policy” with special focus on development management, policy analysis, and economic development. Nayef also hold a MA in “Egovernment”, which is focused on the use of technology to improve the efficiency of public sector work. 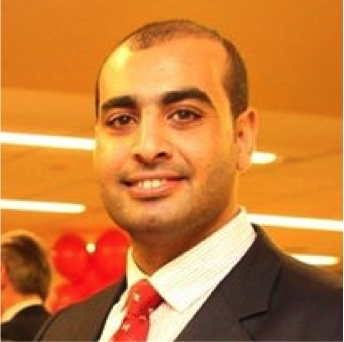 In addition to his technical background in governance and development, Nayef has a professional experience working as a consultant and country program manager with international NGOs that operate in the areas of youth empowerment and democratic governance. For his commitment to support local CSOs and advance civil society work in Jordan, Nayef was recently awarded the Leaders for Democracy Fellowship administrated by Syracuse University (USA, 2011) and the Middle East Rule of Law Fellowship with the Open Society Foundation (USA, 2013).